It’s time to stand up for what you believe in. And on Wednesday, March 14, 2018 — one month to the day that 17 students were murdered during a school shooting at Marjory Stoneman Douglas High School in Parkland, Florida — you can do just that by joining students across the country taking part in the National School Walkout to honor those killed and to protest the government’s lack of action to prevent gun violence. “I don’t believe that it’s right that in the U.S., in 2018, there have been over 18 school shootings*, multiple lives have been lost, and Congress still hasn’t done anything,” says 15-year-old activist, Christine Kassiano, a student at Mayo High School in Rochester, Minnesota. “There has been talk, but no action yet.” That “talk”? Not much more than “thoughts and prayers” — neither of which does anything to stop would-be killers from getting guns and ammunition and walking into a school, a neighborhood, a home, a restaurant, a movie theater, a concert, a church — anywhere. “Students should never have to fear going to school. They shouldn’t feel like when they go to school that they might not come home or they might not see their families, ever again. We’re coming to school to learn and to be educated, so that one day we’ll be great citizens of society,” Christine says. It’s the responsibility of our government to enact laws and regulations to keep citizens safe; such a huge responsibility should not have to be shouldered by kids and teens. But, as with other historic movements in which grown folks couldn’t get it together, today’s students are stepping up to make change happen. Congress, you’ve been warned. | THE WALKOUTS ARE NEXT WEEK! So inspired by all the students and allies across the nation who have stood to amplify our voice. We will not be silenced. Tbh, though, not everyone is going to be down with you what you’re doing. Despite this, it’s important for you to stand in your truth and stay speaking out. Winter suggests using the Women’s March toolkit to approach your school’s administration; they even have a sample letter you can use (toward the bottom of the toolkit’s page). You can also sign up to be a part of the coaching system, which pairs you with an adult ally, who can help coach you through the process. Christine, in addition to helping organize the walkout at her school in Rochester, MN, will be taking a bus to the state capitol with other students and sharing her voice. 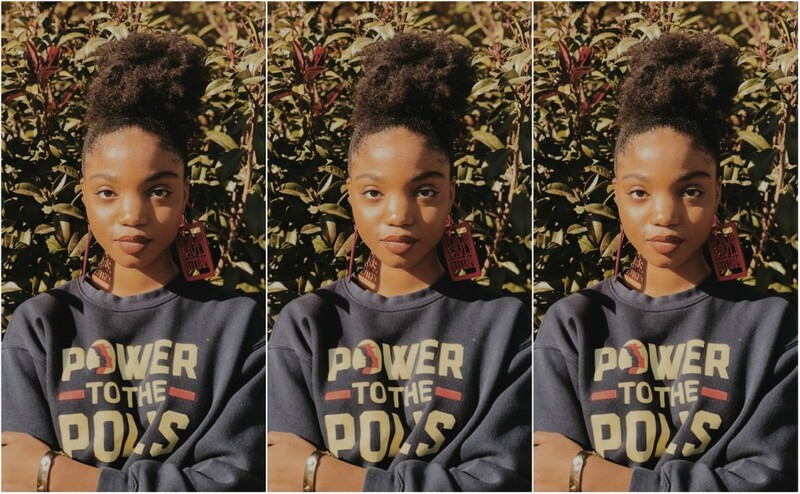 As for Winter, she’ll be in Sacramento giving speeches with some of the Women’s March Oakland and Sacramento leaders, who will also be busing students involved in the walkout to the capitol. *Editor’s Note: There have not been more than 18 school shootings as we would define school shootings (like the ones at Marjory Stoneman Douglass and Columbine). This number includes any firing of a gun on school grounds, including suicides and accidental gun discharges.